LOS ANGELES — Harry Dean Stanton, the shambling, craggy-face character actor with the deadpan voice who became a cult favorite through his memorable turns in "Paris, Texas," ''Repo Man" and many other films and TV shows, died Friday at age 91. Stanton died of natural causes at Cedars-Sinai Medical Center in Los Angeles, his agent, John S. Kelly, told The Associated Press. Kelly gave no further details on the cause. Never mistaken for a leading man, Stanton was an unforgettable presence to moviegoers, fellow actors and directors, who recognized that his quirky characterizations could lift even the most ordinary script. Roger Ebert once observed that "no movie featuring either Harry Dean Stanton or M. Emmet Walsh in a supporting role can be altogether bad." He was widely loved around Hollywood, a drinker and smoker and straight talker with a million stories who palled around with Jack Nicholson and Kris Kristofferson among others and was a hero to such younger stars and brothers-in-partying as Rob Lowe and Emilio Estevez. "I don't act like their father, I act like their friend," he once told New York magazine. Nicholson so liked Stanton's name that he would find a way to work his initials, HDS, into a camera shot. Almost always cast as a crook, a codger, an eccentric or a loser, he appeared in more than 200 movies and TV shows in a career dating to the mid-1950s. A cult-favorite since the '70s with roles in "Cockfighter," ''Two-Lane Blacktop" and "Cisco Pike," his more famous credits ranged from the Oscar-winning epic "The Godfather Part II" to the sci-fi classic "Alien" to the teen flick "Pretty in Pink," in which he played Molly Ringwald's father. He also guest starred on such TV shows as "Laverne & Shirley," ''Adam-12" and "Gunsmoke." He had a cameo on "Two and a Half Men," which featured "Pretty in Pink" star Jon Cryer, and appeared in such movies as "The Avengers" and "The Last Stand." Fitting for a character actor, he only became famous in late middle age. In Wim Wenders' 1984 rural drama "Paris, Texas," he earned acclaim for his subtle and affecting portrayal of a man so deeply haunted by something in his past that he abandons his young son and society to wander silently in the desert. Wiry and sad, Stanton's near-wordless performance is laced with moments of humor and poignancy. His heartbreakingly stoic delivery of a monologue of repentance to his wife, played by Nastassja Kinski, through a one-way mirror has become the defining moment in his career. "Repo Man," released that same year, became another signature film: Stanton starred as the world-weary boss of an auto repossession firm who instructs Estevez in the tricks of the hazardous trade. His legend would only grow. 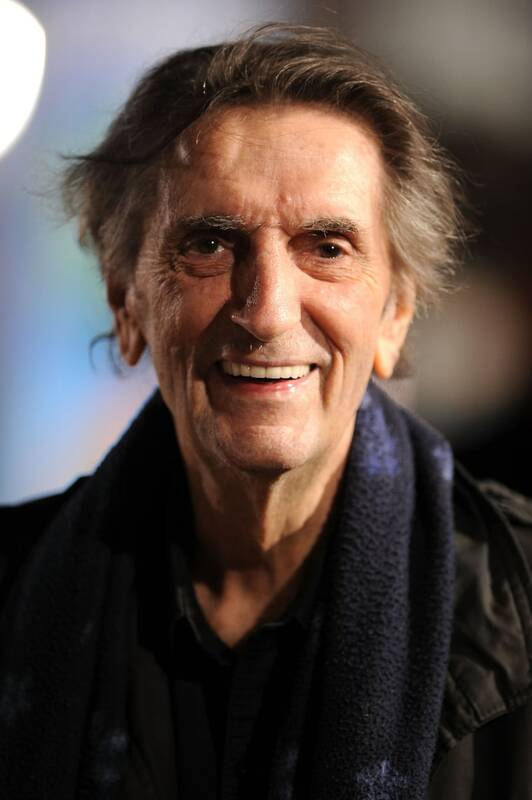 By his mid-80s, the Lexington Film League in his native Kentucky had founded the Harry Dean Stanton Fest and filmmaker Sophie Huber had made the documentary "Harry Dean Stanton: Partly Fiction," which included commentary from Wenders, Sam Shepard and Kristofferson. More recently he reunited with director David Lynch on Showtime's "Twin Peaks: The Return" where he reprised his role as the cranky trailer park owner Carl from "Fire Walk With Me." He also stars with Lynch in the upcoming film "Lucky," the directorial debut of actor John Carroll Lynch, which has been described as a love letter to Stanton's life and career. Last year, Lynch presented Stanton with the "Harry Dean Stanton Award" — the inaugural award from the Los Angeles video store Vidiots presented first to its namesake. "As a person, Harry Dean is just so beautiful. He's got this easygoing nature. It's so great just to sit beside Harry Dean and observe," Lynch said at the show. "He's got a great inner peace. As a musician, he can sing so beautifully tears just flow out of your eyes. And as an actor, I think all actors will agree, no one gives a more honest, natural, truer performance than Harry Dean Stanton." Lynch also directed Stanton in "Wild at Heart" and "The Straight Story." Stanton, who early in his career used the name Dean Stanton to avoid confusion with another actor, grew up in West Irvine, Kentucky and said he began singing when he was a year old. For decades Stanton lived in a small, disheveled house overlooking the San Fernando Valley, and was a fixture at the West Hollywood landmark Dan Tana's. He was attacked in his home in 1996 by two robbers who forced their way in, tied him up at gunpoint, beat him, ransacked the house and fled in his Lexus. He was not seriously hurt, and the two, who were captured, were sentenced to prison. "I might have had two or three (kids) out of marriage," he once recalled. "But that's another story."